After almost 50 years of serving the area, Ballantyne Jewelers remains a leading source for diamond rings in Charlotte NC. We offer high-quality jewelry from Simon G., Verragio, Cherie Dori and other leading jewelry designers. Whether you're searching for diamond rings for everyday wear or engagement and wedding rings, you'll love our selection of classic and trendsetting styles. As a family business, we also provide friendly, personalized service. 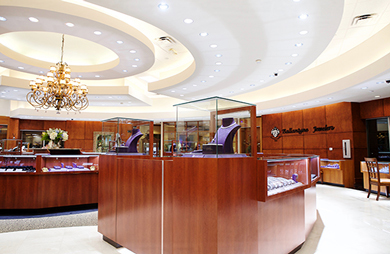 We'll make you feel at home while helping you find just the right ring. Visit us today to find out why we're the area's choice for diamond rings in Charlotte NC.